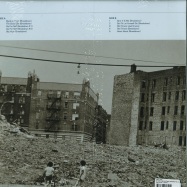 limited edition of 300 copies on white 7 inch vinyl. 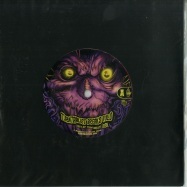 skipless scratch tools from dj dsk & dna on clear / black & white splattered 7 inch vinyl. 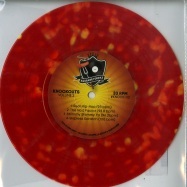 pressing on red vinyl with yellow dots / sprinkles. 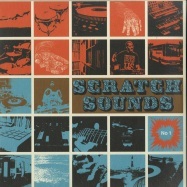 part 1 of dj woodys scratch sound series brings skip-proof scratch phrases with an accent of the sound of the blues. pressing on blue coloured 12 inch vinyl. 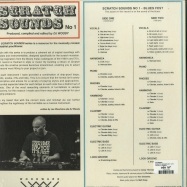 part 1 of dj woodys scratch sound series brings 28 skip-proof scratch phrases with an accent of the sound of the blues. 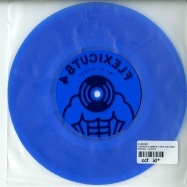 pressing on blue coloured 7 inch vinyl. 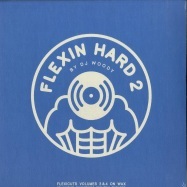 flexin hard 2 by world champion turntablist dj woody, consists of all the scratch samples from flexicuts 3 and 4 (his innovative flexi-disc scratch record series) plus some added extras. 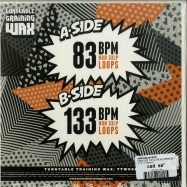 side a is programmed at 83.33 bpm and contains 9 skip-proof scratch phrases plus full scratch sentence and 1 lock groove drumming sentence. 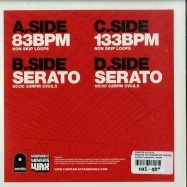 side b is programmed at 100 bpm and contains another 9 unique skip-proof scratch phrases plus full scratch sentence and 1 lock groove beat. 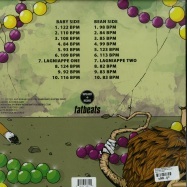 flexin hard 2 is pressed on white vinyl with full colour picture sleeve. 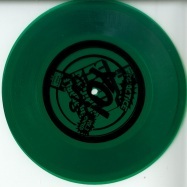 solid green coloured single 7 inch versions of the infamous ttw005. 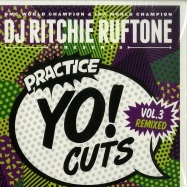 dmc world champion & ida world champion dj ritchie ruftone presents volume 5 of his “practice yo! 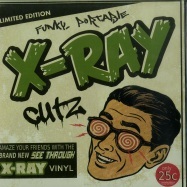 cuts” series on 12 inch vinyl. 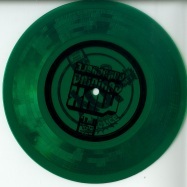 pressing on translucent green 7 inch vinyl. 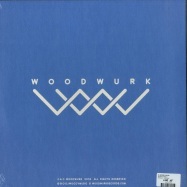 8 skip proof scratch sentences from dj woody on single-sided transparent blue 7 inch flexdisk. feel the need to refresh yourself and raise your level of creativity? it s time to taste the delicious -take away- cooked by kodh, dmc & itf world champion - producer of many cool scratch records over the years (qross point, vertigo, audiomicid ominous metamorphosis, etc…) you can re-invent your cuts and style. your eyes will be delighted by the cool design made by the talented graffiti artists shone mizuno & ekke chow. 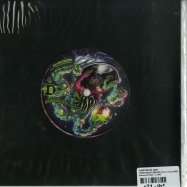 when beatsqueeze offered me the opportunity to release a 7” with them, i instantly thought i should make the most out of the many chinese samples i had saved for my chinoiseries project. 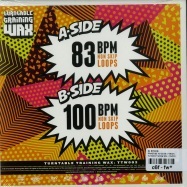 this record includes many unused samples, drum breaks, sounds and other various samples on side a and side b is a proper dj-tool (skipproof) made to scratch with. make your own chinoiseries beat and then scratch on top of it, i thought that was a pretty cool idea! 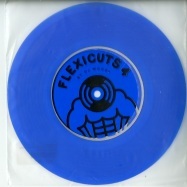 world champion turntablist dj woody’s innovative 7” flexi-disc scratch record series ‘flexicuts’ gets a vinyl release. 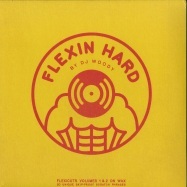 ‘flexin hard’ consists of all the scratch samples from flexicuts 1 and 2, but this time on 12” yellow vinyl for a completely different feel and experience. 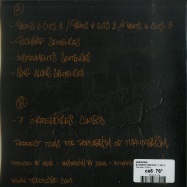 includes 20 original skip-proof scratch phrases plus 2 longer scratch sentences combining the samples. perfect for practice and jamming. 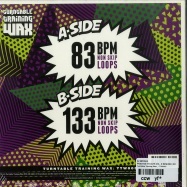 floppy disc versions of the infamous ttw005 - floppy and proper bendy! comes as a pair of dope floppiness! weighing in at minimal gms. please note: the way floppy discs are manufactured, the center hole for the spindle is usually quite tight. you may need to adjust the hole to suit. 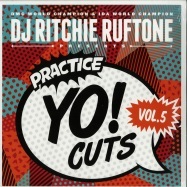 dmc world champion & ida world champion dj ritchie ruftone presents volume 4 of his “practice yo! 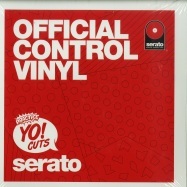 cuts” series. 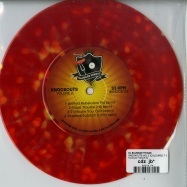 pressing on red coloured vinyl. 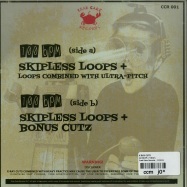 limited red double 7 inch vinyl in gatefold sleeve, featuring non-skip loops on the front and serato control on the flip. our dedicated digging team has scoured the planet once again to bring you yet another dope rare break kit from around the planet. 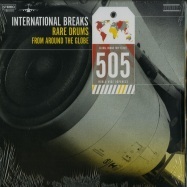 ready to chop, loop, and layer, international breaks 505 features 101 new breaks from from the late 60s to early 80s. 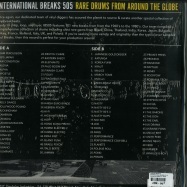 our team assembled a comprehensive break beat kit with ultra rare gems from russia, china, thailand, india, korea, japan, bulgaria, turkey, france, holland, italy, poland, uk, and brazil. if you are looking for more variety than your typical over sampled soul breaks, then this kit is is perfect for your production arsenal. don’t sleep on this kit! let the good times roll! 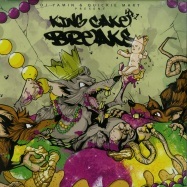 dj yamin and quickie mart have created the very first new orleans breakbeat record! 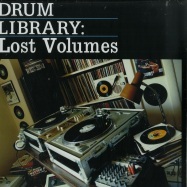 this 12” contains exclusive drum breaks and samples for all you dj’s and producers. 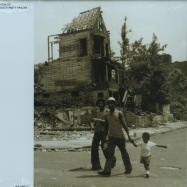 if you like raw and funky beats with hard to find samples from the crescent city than this album is for you. 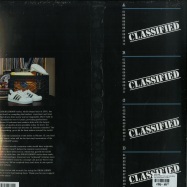 very limited release! 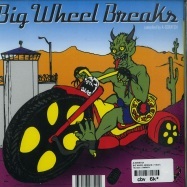 break records are being released at an astounding rate. 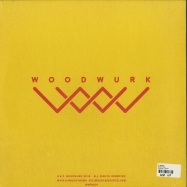 yet most of the sounds and samples used are just the same recycled material from the last dozen break albums. 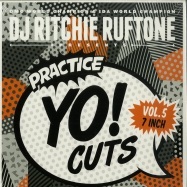 this leaves the dj who is looking for new material to create with, disappointed. 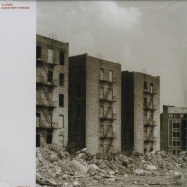 that is… until the arrival of grime-n & starfunkle’s sushi breaks, a break record that is the compilation of a decade’s worth of crate digging, sampling and beat making. 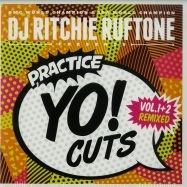 featuring all new production from an international array of renowned hip hop djs and producers. 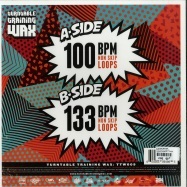 each track of beats is set to single bpm, letting the dj juggle endless sets with no need for sudden pitch adjusts, giving maximum creativity to battles routines. 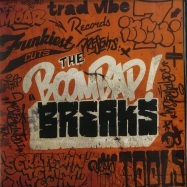 sushi breaks is chock full of original sounds and samples not used on previous break albums, offering the dj a whole new tool box of scratch to paint their sound canvas with. pressed at maximum groove depths, sushi breaks keeps the needle where it’s supposed to be, so you can do your best work without interruption. a3This Stuff Is Really Freshhhh! b2This Stuff Is Really Freshhhh! 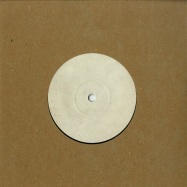 pressing on white 7 inch vinyl. 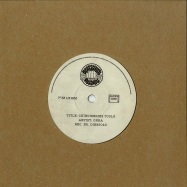 dj friendly reggae accapellas, for advanced djs & producers too. dj rubbish samples any sound he gets and spits out any rant that comes to mind for just one reason - because he can! interludes proudly brought to you by project brothers. DJ Rubbish - Who Are The Real Terrorists? 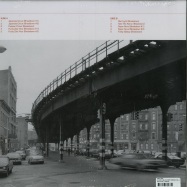 featuring grip grand, phat kat, oh no, roc c, dudley perkins, guilty simpson, party arty, ace hustle, foreign legion and b lloyd... early member of stones throw roster with his first album on his own label! !